This week the British Prime Minister David Cameron is hosting an international anti-corruption summit. The scourge of anonymous shell companies and hidden identities rightly seizes the public's imagination. We can all picture the suitcases of cash and tropical islands involved. As well as acting on offshore and onshore money laundering havens, world leaders at the summit should also be asking themselves where all this money is being stolen from in the first place. The answer is mostly from public contracting: government spending through private companies to deliver works, goods and services to citizens. It is technical, dull and universally obscure. But it is the single biggest item of spending by government - amounting to a staggering $9,500,000,000,000 each year. This concentration of money, government discretion, and secrecy makes public contracting so vulnerable to corruption. Data on prosecutions tracked by the OECD Anti-Bribery Convention shows that roughly 60% of bribes were paid to win public contracts. Corruption in contracting deprives ordinary people of vital goods and services, and sometimes even kills: I was one of many Londoners moved by Ai Wei Wei's installation that memorialised the names of thousands of children killed in China's Sichuan earthquake in 2008. Their supposed earthquake-proof schools collapsed on them like tofu. Beyond corruption, inefficiency and mismanagement of public contracts cost countries billions. Governments just don't seem to know what they are buying, when, from whom, and whether they got a good price. This problem can be fixed. But it will require a set of innovations best described as open contracting: using accessible open data and better engagement so that citizens, government and business can follow the money in government contracts from planning to tendering to performance and closure. The coordination required can be hard work but it is achievable: any country can make substantial progress on open contracting with some political leadership. My organisation supports an open data standard and a free global helpdesk to assist governments, civil society, and business in this transition. More open public contracting levels the playing field for companies, grows new markets, and creates opportunities for often-marginalised businesses. Open data on contracts provides better analytics to shape more informed decisions and help choose the best solution for a given job. When business and citizens can track and engage meaningfully in the contracting process, higher quality goods, services and infrastructure will result. Ukraine is a case in point. 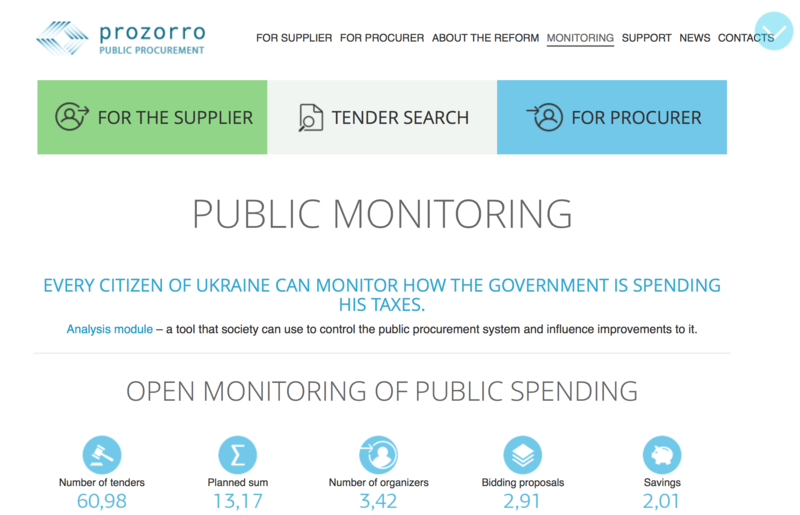 Despite a troubled political environment, a coalition of businesses, civil society and government reformers were able to build and pilot Prozorro, a fully open contracting portal which is now being scaled up to cover all government contracting. In its first year, it has saved the government 14% on its planned spending. This openness has encouraged a 50% increase in companies bidding for contracts, mostly smaller businesses who were previously shut out by cronies and oligarchs. Dismantling the country's kleptocracy will take time but the first round has gone to the reformers and to open contracting. In the Philippines, activists used open contracting to drive better delivery of services. They tracked contracts to local schools and halved the price of textbooks. When Slovakia made it mandatory to publish contracts online, competition among bidders almost doubled. 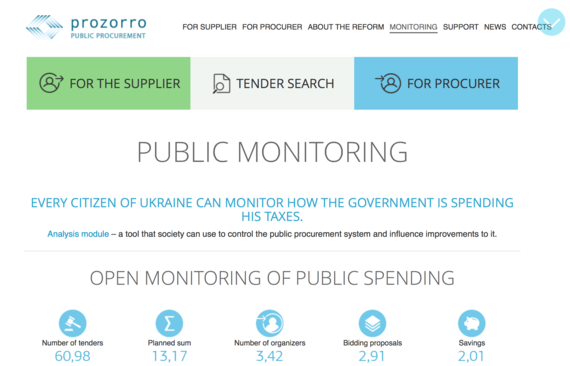 Information revealed is of genuine public interest: over 8% of citizens checked a public contract in the last year. My organization and Bloomberg Associates, the philanthropic city government advisory group created by former Mayor of New York Michael Bloomberg, are currently working with Mexico City to publish a broad spectrum of open public contracting data. Mr. Bloomberg told us that: "Transparency in public contracting not only permits citizens to know where their dollars are being spent, it also makes good business sense. In New York City, we saw that it led to better deals from better qualified companies. Mexico City is taking a positive step by opening more contract data to the public, which will help encourage competition, fight corruption and save taxpayers money." once the default shifts to open, it seems that competition lives happily with improved disclosure and lingering concerns about confidentiality can be addressed - although it is not as if Coca Cola will put its secret formula into a public bid. The future of government contracting is open. 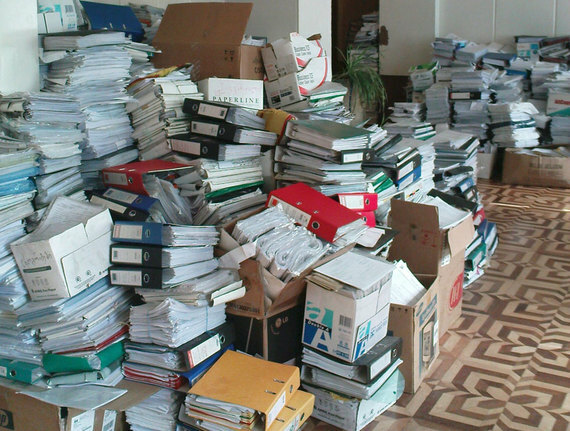 Paper-based, fraud-prone systems make precarious foundations for a 21st century economy.